When did the idea of “Han Chinese” first emerge as politically significant? And by what mechanism did the idea first emerge? This talk will propose that—though it had earlier roots going back to the third or fourth century—it was an idea that first propagated widely in Chinese political culture in the eleventh century. The eleventh century was an unusual moment in Chinese history because of the exceptionally high volume of diplomatic exchange between a China-based regime (the Song Dynasty) and a Eurasian Steppe-based regime (the Liao Dynasty). 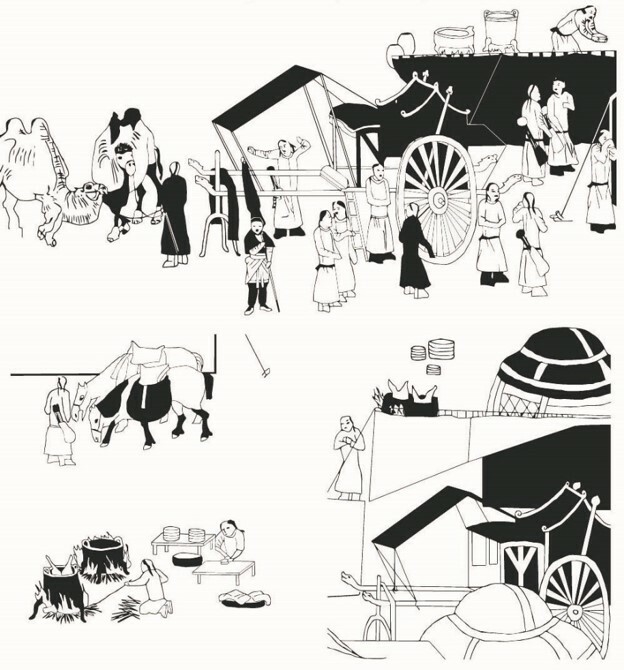 The notion of a “Han” people had roots in steppe ethnic policy and ethnic geography. This category of difference was then propagated to Chinese political and cultural elites via the experience and performance of ethnicity in Song-Liao diplomatic encounters. Nicolas Tackett is Professor of History at U.C. Berkeley. He is the author of two books. The Destruction of the Medieval Chinese Aristocracy(2014) examines how a network of powerful families survived at the pinnacle of political power for centuries only to disappear into oblivion suddenly and completely at the turn of the 10thc. The Origins of the Chinese Nation(2017) argues that a national consciousness emerged in China in the eleventh century (i.e., much earlier than typically assumed), and explores how this new consciousness was a product of the diplomatic environment of 11th-c. Northeast Asia.